The song idea, along with some of the lyrics, was first put down on paper by Wayne Cochran of Georgia back in 1956. Wayne lived in a small house near Highway 341 and got the idea for the song from the many car wrecks. After reading about one car wreck in particular on Highway 341 in 1962, that had taken the lives of 3 teens, Wayne completed the song. Wayne then cut a deal with small independent record producer Ed Perry from Vidalia, George. In order to pay for recording time Wayne gave Ed the song publishing rights. According to the wife of Joe Carpenter, the lead guitar player on the recording, he was co-writer with Wayne never getting credit. Two others, Randall Hoyal and Bobby McGlon also claimed to have had a hand in writing the lyrics. Chuck Downs, a drummer, later claimed he had written the song for his girl friend who had died in a car wreck. 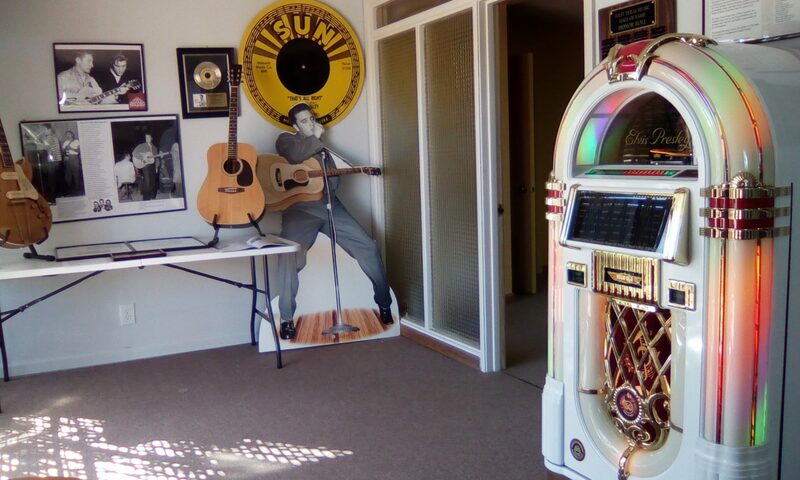 He said when he presented his original sheet music in pencil to Wayne Cochran, he rushed out having it copyrighted. 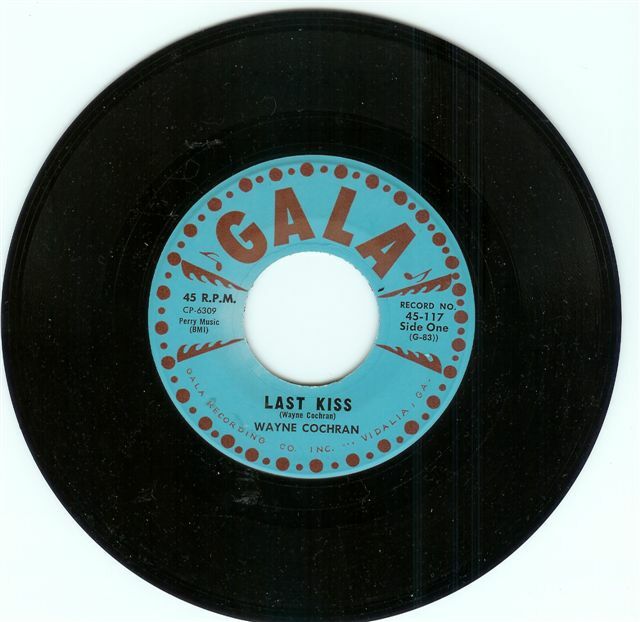 After recording the song using only a bass, guitar and drums Ed Perry had a few copies printed on his Gala label. When the record failed to attract any attention Wayne then cut a deal with King Records in which Ed sold his contract with Wayne along with the publishing rights. Ed had no idea at the time he was dumping song publishing rights that would later be worth 2 million dollars. After recording a new and more modern version of “Last Kiss” with studio musicians at King Records, Wayne took off around the country promoting it. When Sonley Roush, a small independent record producer in Midland, Texas heard the song he liked everything about it but Wayne’s vocal performance. Sonley then offered the song to The Chevells, a Rock group he had been working with at Ben Hall Studio in Big Spring, Texas. When they turned it down he remembered booking The Cavaliers (featuring J. Frank Wilson from Lufkin, Texas) from San Angelo, Texas back in 1962. It was during this time J. Frank had left the band returning back to his home in Lufkin. After being reinstated J. Frank & the band copied Wayne’s King 45 at Ron Newdoll’s small recording studio in San Angelo, Texas in July 1964. The master tape was shipped to Jay Gee Josie Records in New York City and then released on their Josie Label with national distribution. When the record began to climb the charts in August 1964 J. Frank Wilson went solo. When Wayne’s writer royalty checks began to arrive at his home base he was out on the road performing. It wasn’t until he returned home that he discovered his manager had cashed and spent them all. It would be 9 years later in 1973 when Wednesday, a Canadian Rock group, would cover the song with the vocalist sounding much like J. Frank Wilson taking it to #2 in Canada and #34 in the U.S. selling 2 hundred thousand copies. In 1998 Pearl Jam covered “Last Kiss” taking it to #2 in the U.S. RIAA Certified Gold. Over 25 different versions of “Last Kiss” have been recorded receiving over 21 million YouTube hits led by Pearl Jam’s 11 million. When Pearl Jam’s version hit in 1999 a front page story, based around home town Ed Perry, was featured in the Vidalia, Georgia newspaper. Ed Perry had moved to Houston having died never receiving a penny from the publishing of “Last Kiss.” Wayne Cochran earned most of his livelihood over the years from his song royalties. J. Frank Wilson died penniless in a nursing home in Lufkin, Texas at age 49 from alcohol abuse. Sonley Roush, whose brain storm led to the covering of Wayne’s recording, died in a car wreck while on tour with J. Frank Wilson in October 1964. The female vocalist behind J. Frank Wilson on “Last Kiss” continues to be a mystery.